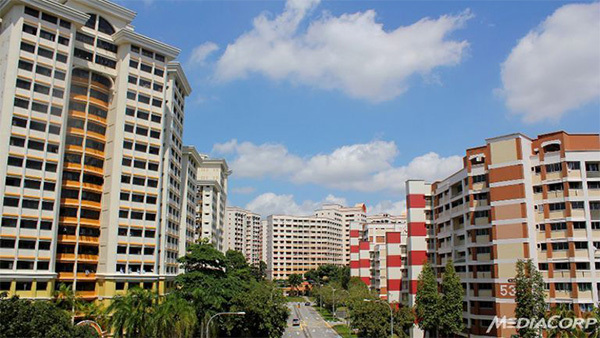 SINGAPORE: The resale prices of Housing and Development Board (HDB) flats were unchanged month-on-month in October, the Singapore Real Estate Exchange (SRX Property) said on Thursday (Nov 5). The resale prices for 3-room flats and Executive flats rose by 0.7 and 0.9 per cent, respectively, while the resale prices for 4- and 5-room flats fell 0.8 and 0.1 per cent, respectively. Overall, prices have declined 2.6 per cent from the same period a year ago and 11.7 per cent from the peak in April 2013, SRX Property said. A total of 1,745 HDB resale flats were sold last month, a 16 per cent rise from the 1,504 transacted units the previous month. Compared with a year ago, resale volume was up 12.4 per cent, SRX Property said. The overall median Transaction Over X-Value (TOX), which measures whether people are overpaying or underpaying SRX Property’s estimated market value, was S$1,000 last month. For HDB towns with more than 10 resale transactions, Bishan reported the highest median TOX of S$15,000, followed by Queenstown with S$7,000. The lowest median TOX were in Central Area and Hougang, at negative S$17,000 and negative S$5,500, respectively.